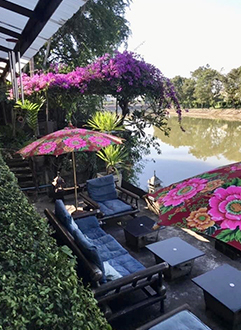 Lampang province, which dates back more than 1,325 years to the Lanna realm, still continues as a simple and calm town, flourishing with beautiful old traditions. 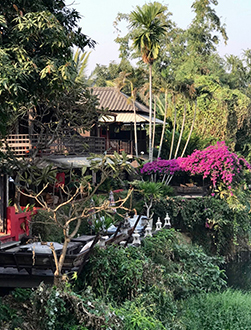 Lampang has a considerable diversity of ancient beautiful Lanna arts, and historical sites combined with a simple life-style of the people. 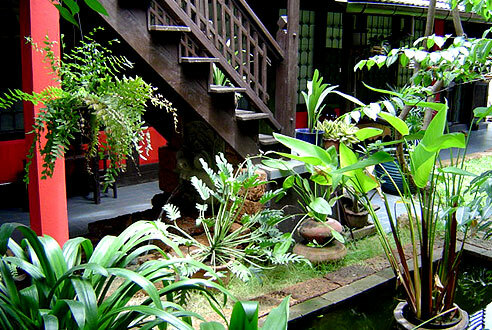 These customs and traditions from the past are maintained along with pure and beautiful natural attractions. 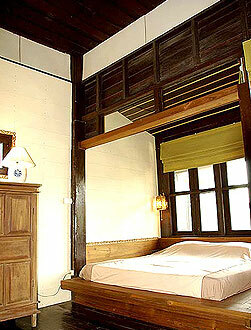 Lampang is also known a gateway to other provinces and their tourist attractions. 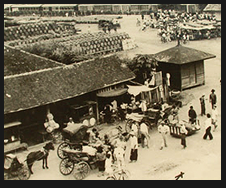 Lampang has its own unique distinctive character, namely the horse-drawn carriages, the famous ceramics made from the widely acceptable kaolin, typical architecture temples, the Thai Elephant Conservation Center the only place in the world for elephant training. The word "sao" means "twenty", "Chedi Sao" means "twenty chedi". The lower parts of the chedis are painted white, while the top is beautifully gilded. There is a saying that if someone can count all twenty chedis, the person is lucky. 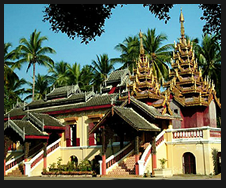 This reverred temple of Lampang province is famous for its historical value as well as ancient relics. The excavation of amulets belonging to the Haripunchai period is evidence that the chedi might have been built more than one thousand years ago. In addition to this, Wat Chedi Sao also houses of Phra San Sae Thong Kham, made from the 95.5 g. of pure solid gold. 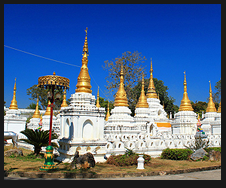 Wat Chedi Sao is located in Tambon Tonthongchai, six kilometers from the city. What Srichum is the biggest of all 31 Burmese temple in Thailand. To go to the temple, you begin your journey at Bunyawat Wittayalai School, then turn left at Srichum crossroad and go along for about 100 metres. And the entrance to the temple is on your right. The main feature in the temple compound is the vihara, a half brick and half wood, castle-style building, with a carved steeped wooden roof. Inside of the vihara are murals of the Buddha's history and a Burmese style Buddha Image. In 1992, the vihara was damaged by a fire, and was later renovated over a period of 7 years carefully retaining all of its original character. 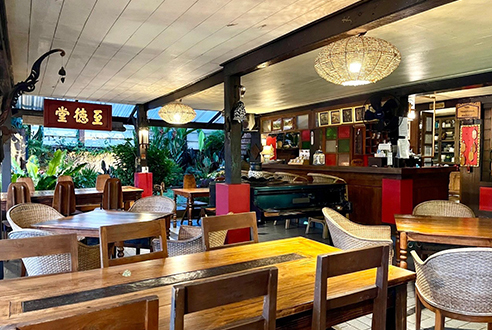 Located 18 kilometers from Lampang, along Highway 1 to kilometer 586, take a left turn and pass the Ko Kha District office, and turn right for 2 kilometers. You will see the beauty and the grandeur of Wat Phratat Lampang Luang, which is located on high land. 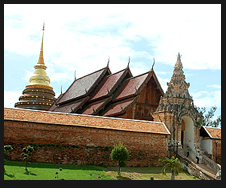 Wat Phratat Lampang Luang houses the image of Emerald Buddha which is the provincial integral to Lampag province. Inside the temple is the Nam Tam Vihara that is the open - sided. There are beautiful and interesting Lanna-style murals. The chedi holds relics of people who are born in the year of the ox. 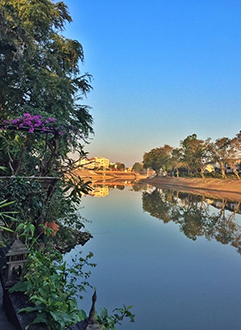 You can see a reflection shadow picture of the chedi that appears in the ubosot. This Wat is located in Tambon Wiangnuea of Mueang district. The temple was built on the site of the original ancient temple. It was the house of the Emerald Buddha image, which has now been shifted to Wat Phratat Lamoang Luang. The temple compound is dominated by the Phrathat and a Mondapa. 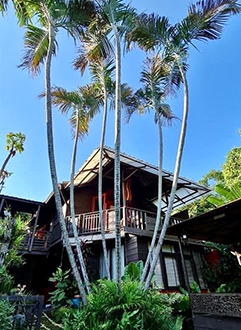 The Mondapa is an imitation of the Mondalay Burmese style architecture. The Mondapa's leaves and gables are decorated with perforated wood on all four sides. It houses a stunning Buddha image called "Phra Buakkhem". 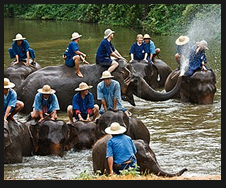 The Elephant Conservation Center is located about 30 kilometers from Lampang on Lampang-Chiangmai Road. It is the only place for elephant training in the world. There are two elephant shows daily, starting with elephantbathing at 9.00 a.m.. This is the place for people who are interested in taking care of their health. 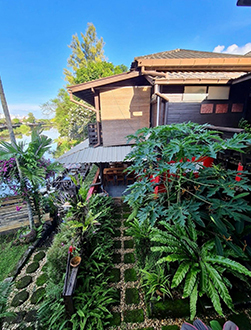 The Medicinal Plant's Conservation Center has a spa service with an herbal soak and Thai massage, as well as skin treatment with herbs. There are displays of more than 150 types of herbs to study. This is a popular place for tourists. 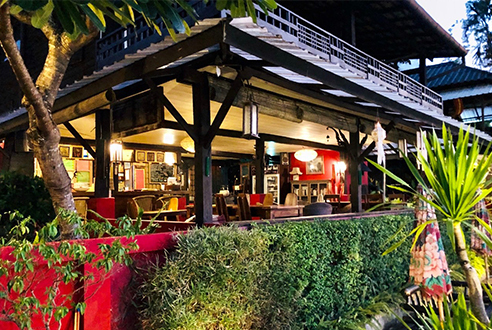 Located in Khan Mueang Road, Tambon Bo Haeo, Mueang District, Lampang. Tel: 0-5431-3128.